Anyone diving into the Ocean Rush video pokie from EGT is going to find themselves immersed in a fun cartoon world of fish, clams, treasure chests and even the occasional mermaid. They could also swim in the rich waters of a free spins bonus game, land the catch of the day with some huge payouts from a wild symbol or even hook a massive progressive jackpot prize. Played over 5 reels and 15 paylines, gamblers can enjoy all of this from a low limit of just 0.15 per spin, going up to a maximum of 30.00, although free Ocean Rush video pokie games can be found at most casinos. There’s a faint image of corals and a sunken castle behind the reels, and everything has a subtle blue hue to give it that authentic undersea ambience. 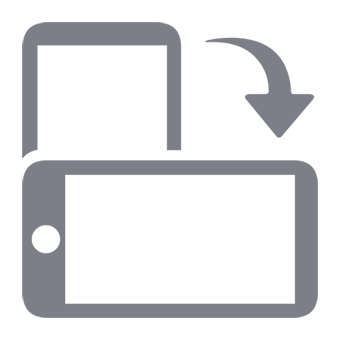 The symbols however, are all colourful and become nicely animated when they become part of a winning line. In normal play, those wins are created by matching symbols stopping across a payline, running from the left side on connected reels, and the smaller prizes are paid out by the shell, starfish, octopus and green/purple fish symbols. Each of these will win 5, 20 or 100x the line bet when landing on 3, 4 or 5 reels, while the shark, crab and treasure chest are all worth 10, 50 or 200x for the same combinations. The mermaid and mermaid King symbols will only need to appear on reels 1 and 2 to pay out 2x the line bet, while 3, 4 or 5 of either symbol are worth 20, 100 or 500x respectively. A bright red and yellow fish is the top value symbol however, returning the equivalent of 10x the line bet when it lands on reels and 2, while a full run of 5 is worth 5000x. It’s also a wild symbol, so players who land matching symbols on a line, but have a break in the sequence, will find that they still get a win if the wild fills in the gap, while the base value gets doubled whenever this happens. The wild can also extend a run of 2 or 3 winning symbols across further reels, leading to higher payouts. The giant clam is a scatter symbol which pays out some big wins whenever it turns up in 3, 4 or 5 positions at once. Players will need to select a clam to reveal how much they win, and the range is from 30 to 120 coins for 3 clams, 150 to 750 for 4 of them and if 5 clams appeared, the wins will be from 750 to 3000 coins. A special Lucky Dive game is also triggered, although any 3 or more Lucky Dive symbols on their own across the middle reels will also take players to this game. 12 shells are lying on the seabed and players simply click them in any order to accumulate free spins and multipliers. They are guaranteed 7 free spins with a 1x multiplier, but the ideal combination is 20 bonus games where all wins are multiplied by 5x their base value. Once the Play Free Spins shell is found the games commence, although landing 3 or more Lucky Dive symbols will repeat the round at the same multiplier, with the new games beginning as soon as any left to play out are through. EGT online pokies all have the Jackpot Cards round that’s randomly awarded, and once this happens, a win of either the Club, Heart, Diamond or Spade jackpot is assured. First however, the player will need to start clicking on the 12 playing cards lined up on the screen, and once 3 of the same suit are revealed, the relevant jackpot is paid out. There’s also the chance to gamble any win of less than 525 coins, with the prize doubled when players correctly guess that a playing card will be from a red or black suit. Get it right and they can either collect the new win or try to double it again until the gamble limit is reached, but a wrong decision at any stage loses the triggering bet along with anything gained so far in the gamble round. 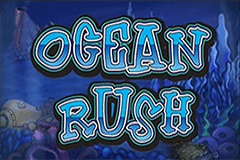 The cartoon style of Ocean Rush is designed to appeal to as many online casino players as possible, but it’s the bonus features that will keep this game from sinking. Wild multipliers and the free spins with even more multipliers are the real highlights, although the odds of getting a win in the bonus games is the same as in the main game, so it’s possible, although unlikely, that players will trigger the free spins and come away with just a single win or even none at all.